When I was a kid, a trip to the zoo was always thrilling. It was a small community zoo, but I still enjoyed petting the deer and riding the train that wound its way through the different enclosures. Maria and Marco are in for a different kind of thrill when they visit their local zoo. Zoombies: Animales De La Muerte strongly urges you to not feed the animals. Especially since it’s your brains that they’re after. 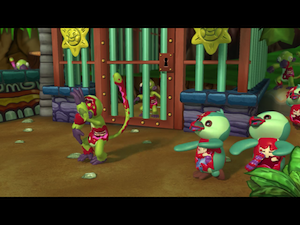 Don Eduardo’s zoo has come down with a serious zombie problem. The sickness has taken over the animals. Poor things. Maria and Marco have been asked by Don Eduardo to help him put his beloved animals out of their misery. Armed with a variety of weapons, these two kiddos are about to turn a trip to the zoo into a bloodbath. To use your weapon, trace a path for it to follow. For example, if you’re using a hatchet, you’ll throw it and watch as it follows the course that you drew before it returns to you. The tricky part of the game is that you can’t use the weapon again until it has returned. You’ll need to plan your paths in order to take out as many zoombies as possible with every use. Each level has five different goals for you to accomplish. 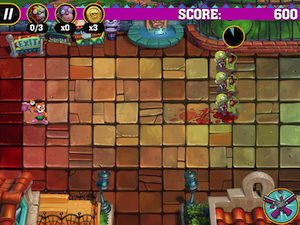 Some of these goals can be reaching a certain score, preventing any zombies from getting away, or killing a specific number of zombies at one time. Accomplishing these goals will help you to earn more pesos. You can spend your pesos on especiales upgrades. 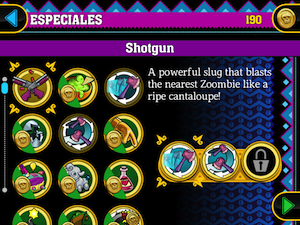 These include items like slippery guacamole, a shotgun, or increased weapon speed. You can also buy additional weapons or costumes. There are 11 different in-app purchases that you can buy. Some of them are for pesos. These prices range from $0.99 for 500 pesos to $14.99 for 15,000. 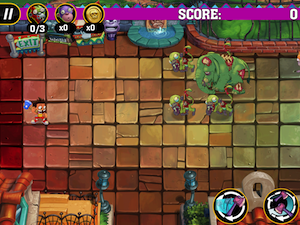 Other in-app purchases unlock all the levels in certain areas of the zoo without having to play your way through them. These purchases are $0.99 each. There are also costume packages that you can buy. Each package includes a costume, a weapon, and a special item. These packages cost $2.99. 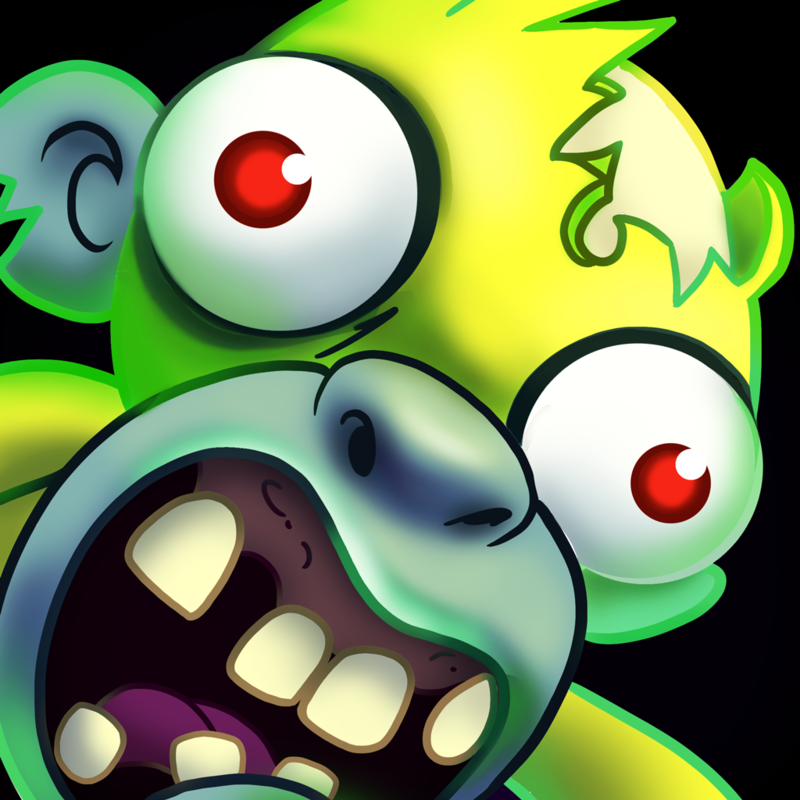 You can find these in-app purchases in the treasure section of the store. 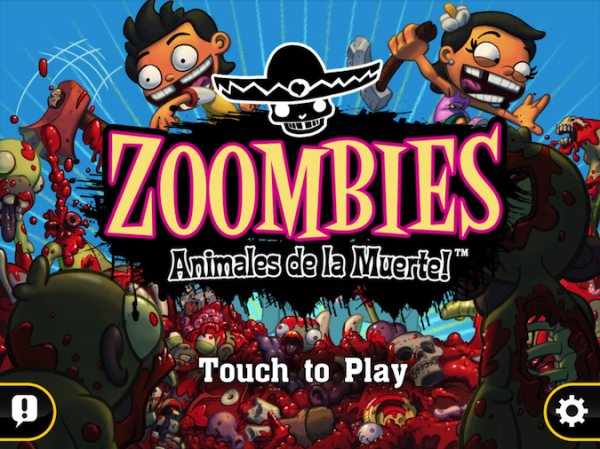 Zoombies: Animales De La Muerte is a great game. 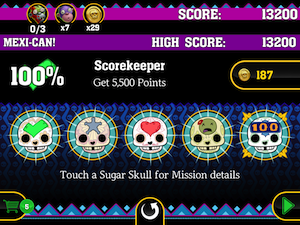 The different missions keep the levels interesting and entertaining. I also thought it was pretty creative to have to draw the trajectory path of your weapon. Zoombies: Animales De La Muerte is a universal app, and it’s available in the App Store for $2.99.